There's no shortage of pharmaceutical products that promise to help curb excessive activity in children, but they may not be right for your child. If you balk at the idea of giving your active child a prescription medication every day, an alternative, natural remedy may be the perfect solution. Dietary changes, natural medicine and calming techniques can all help your active child slow down. Make sure your child gets enough sleep and has a consistent routine. 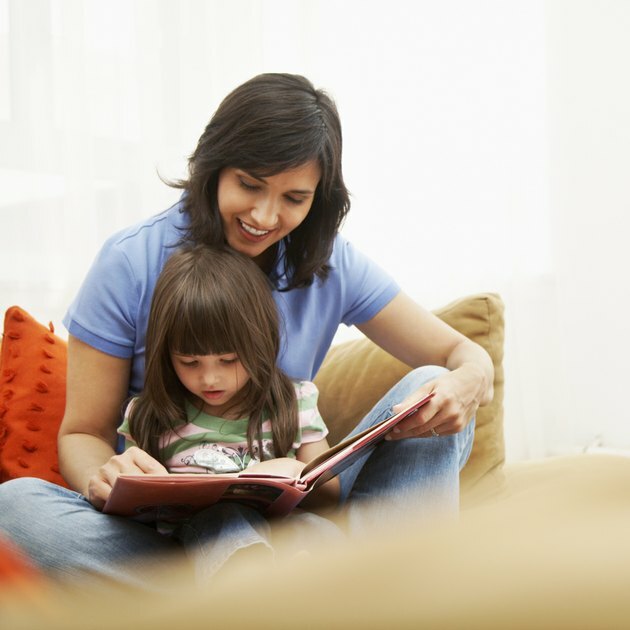 If her bedtime varies throughout the week, she cannot learn when to begin winding down. If you're often too busy for much one-on-one time, cut out one of your activities to open a window of time for you to spend with your child. Show her lots of attention, listen to her and praise her accomplishments. It's common for children to be overly active when seeking attention. 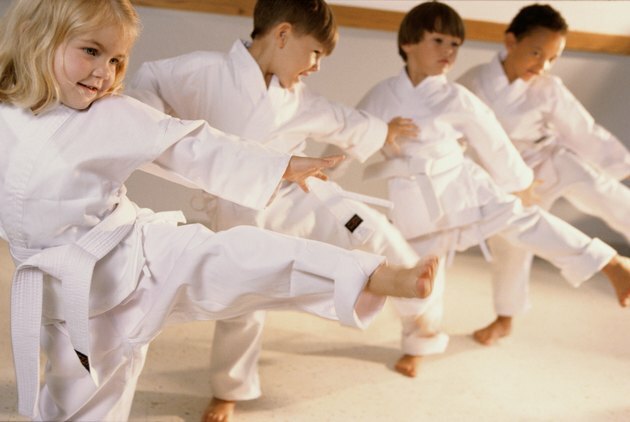 Sign her up for an extracurricular activity, such as martial arts class to help instill a sense of discipline and order. When she acts out or refuses to calm down, use timeouts as a discipline tool. If she knows the consequence for too much activity is a break from social stimulation, she may tone it down. 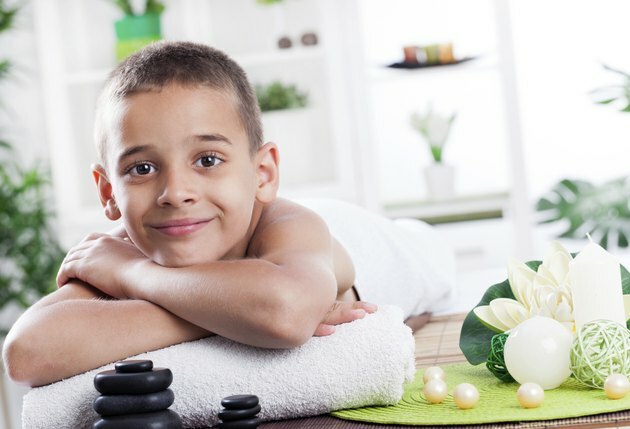 Teach your child healthy and enjoyable ways to relax. Play soft, soothing music while your child plays. Let him sit in your lap while you watch TV to instill a sense of safety, or sing to him while you prepare meals. Turn calmness into a game: Tell your child to imagine a safe, happy place filled with all his favorite things. Any time you say "Let's play the calm game," he needs to sit quietly and imagine that he is in his special place. In addition to having a calming effect, this exercise can help your child's imagination grow and develop. 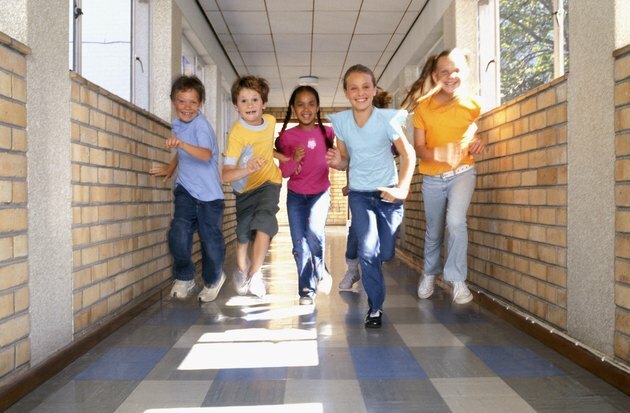 If your child's level of activity is particularly high, consider homeopathy. Consult a nutritionist to determine the kinds and amounts of herbal supplements your child should take. Acupuncture is another option. It helps to restore the body's balance by pushing needles into pressure points around the body to extract pent-up energy. If your child is afraid of the needles, try massage therapy or simply apply pressure with your hands to key pressure points around the body. 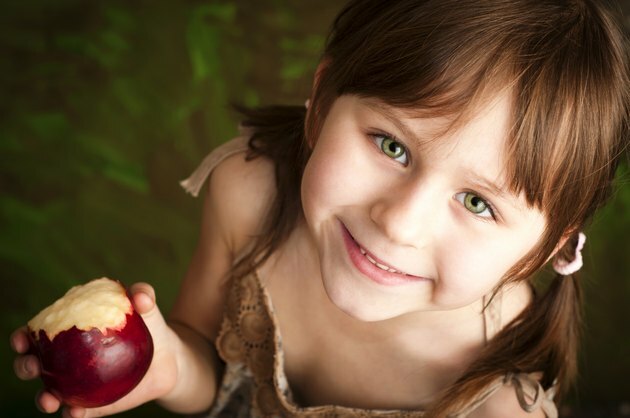 Various foods are believed to increase hyperactivity in children and should be avoided. These include artificial colorings, especially red, yellow and green; chemical additives, milk, chocolate, eggs, wheat and foods that contain salicylates. Examples of salicylates-containing foods are apples, prunes, peaches, grapes, cider, cloves and chili powder. Adding foods heavy in omega-3 acids, such as fatty fish like salmon, may also help decrease a child's activity level. Healthychildren.org: Your Child's Diet: A Cause and a Cure of ADHD?